The tiny particles found in clay soil hold water well, but they provide little oxygen to plants. Clay soils tend to warm up more slowly in the spring and are harder to till than loam soil. In fact, if you work clay soil while it's wet, it becomes a cement-like lump, compacted and damaged. Clay soil tends to hold nutrients better than sandy soils, requiring less fertilizer, although the nutrients aren't always available to plants. Soil is made up of sand, silt or clay particles. Sand particles are the largest, and clay are the smallest. Silt particles are somewhere between. To determine the type of soil in your garden, scoop up a handful of moist soil and form it into a ball. Flatten it between your fingers into a ribbon. If the ribbon breaks before it is 1 inch long, you have loam or silt soil. If it breaks between 1 and 2 inches, the soil is clay loam. If it breaks at 2 inches or longer, the soil is clay. Before adding fertilizers to clay soils, conduct a soil test. Soil tests are available from local county extension offices or commercial labs. Dig up eight to 10 samples from various areas in your yard, mix the samples together and mail them in the kit to the laboratory. A professional lab test will reveal not only the type of soil you have, but the pH level and the need for amendments, such as gypsum to lower the pH level, or phosphorus. The best fertilizer for clay soil is organic material, such as manures, compost and moistened peat moss. Spread 2 inches of each material on the soil each fall and till to a depth of 12 inches. Till soil when it is slightly moist, but not soggy. Working wet clay soil will further compact it. Organic amendments not only improve the drainage, aeration and structure of clay soils, they also add nutrients, such as nitrogen. Plant cover crops, such as hairy vetch, cereal rye, crimson clover, rye and oats, in the fall as you harvest your vegetable crops. Cover crops grow through the winter and are cut down or tilled under in the spring. As they decompose, they improve the soil structure and add nitrogen, according to Fine Gardening. Leguminous cover crops fix nitrogen in the soil so it is more available to vegetables the following spring. Properly amended clay soil may require no further fertilizing, but you can't harm the soil by adding a granular 10-10-10 fertilizer midway through the growing season. 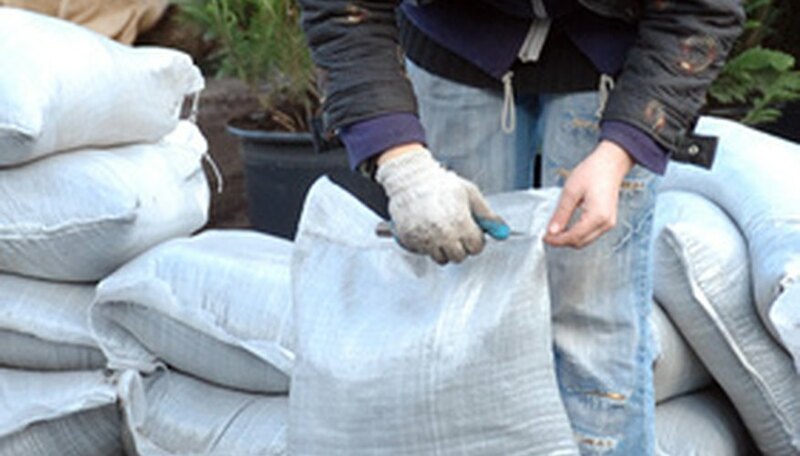 Hand-spread the fertilizer around plants and hoe it in lightly. Water the fertilizer to activate it. Apply the fertilizer only when the soil is slightly dry.